Designed by Lukasz Dziedzic in 2010. Published by FontFont. FF More supports up to 110 different languages such as Spanish, English, Portuguese, Russian, German, French, Turkish, Italian, Polish, Ukrainian, Uzbek, Kurdish (Latin), Azerbaijani (Latin), Azerbaijani (Cyrillic), Romanian, Dutch, Hungarian, Kazakh (Latin), Czech, Serbian (Cyrillic), Serbian (Latin), Bulgarian, Swedish, Belarusian (Cyrillic), Belarusian (Latin), Croatian, Finnish, Slovak, Danish, Lithuanian, Latvian, Slovenian, Irish, Estonian, Basque, Icelandic, Luxembourgian, and Vietnamese in Latin, Cyrillic, and other scripts. Changes figures with proportional widths to figures with tabular widths. Turns caps (and sometimes also numerals and punctuation) into small caps. Mostly used together with Small Capitals feature to get an all-small caps setting. Replaces letters with historical variants that may appear anachronistic today. The best-known example is the long form of s.
People say ‘hey, if you quit smoking, you’ll get your sense of smell back.’ But I got news for you folks, I live in New York City, I don’t want sense of smell back. These days, it’s easy to find typefaces with multiple widths and weights, but they’re nearly all sans serifs. Large serif families are much less common. The 30-style FF More fills this need. In three widths, five weights each, the family answers every need of publication design, from readable text and space-efficient captions to strong headlines. 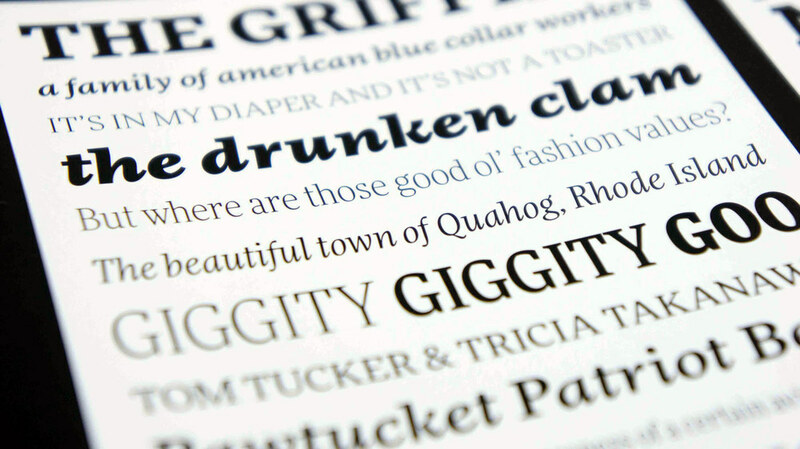 FF More’s robust serifs and gentle contrast hold up to the rigors of magazine and newspaper work. The typeface retains legibility despite size or substrate. Łukasz Dziedzic built FF More with his versatile FF Good typeface in mind the two making a powerhouse superfamily, capable of range in both its function and aesthetic. Like FF Good, FF More supports Cyrillic-based languages across all its styles. This increases the editorial potential of the face significantly. 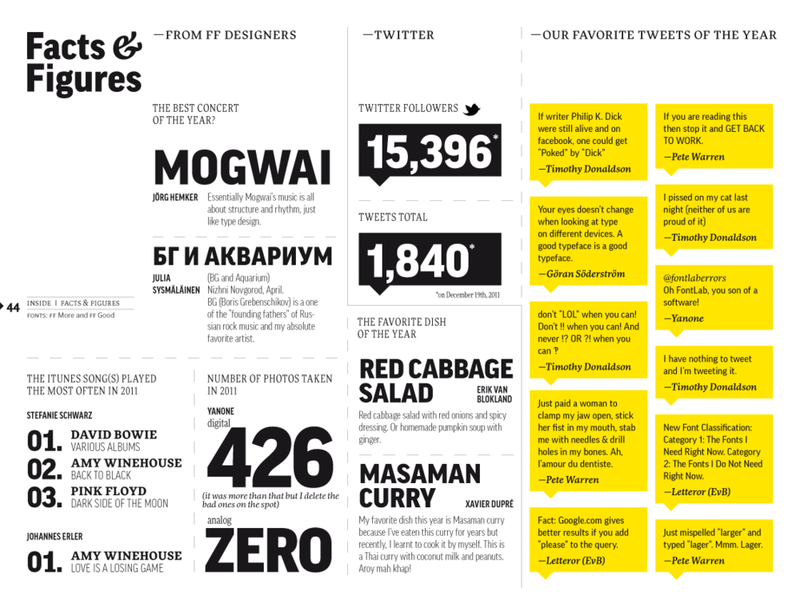 FF More was selected by Communication Arts magazine for feature in its prestigious Typography Annual in 2012.